Whether your first time was at a party or in your neighborhood Panera, I’m willing to bet you remember that first bread bowl experience. 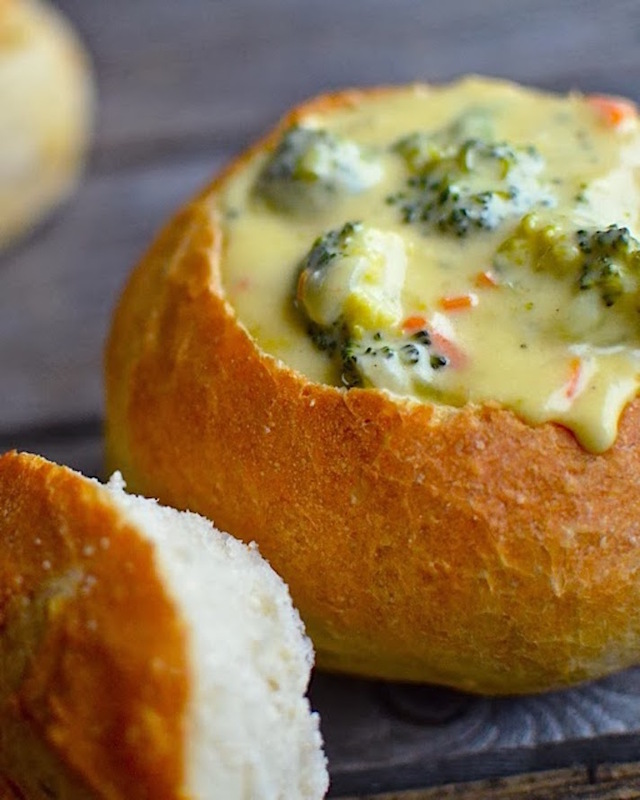 Admittedly a bread bowl isn’t the most convenient vessel for soups and dips — you kinda need to finish the contents before you can break into the soaked, doughy bowl, which can be torture — but it’s hands-down the tastiest and most fun. 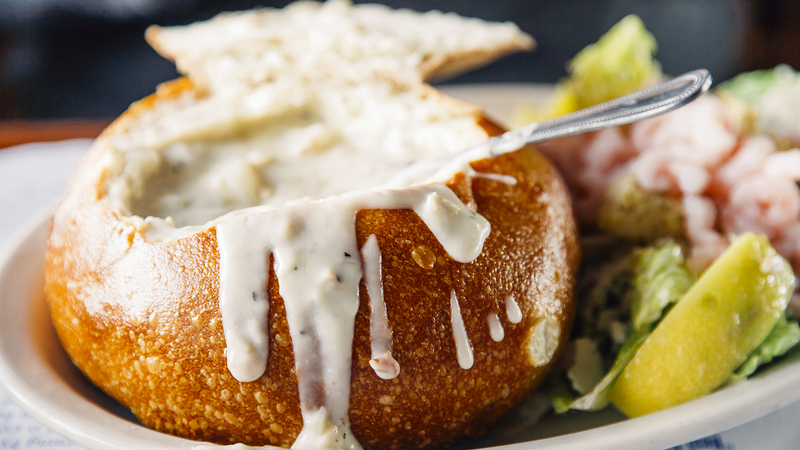 Any time is the right time for a bread bowl, but winter is definitely the most perfect season for them. They’re great for housing cheesy, Super Bowl-ready dips or for serving warm, cozy soups. 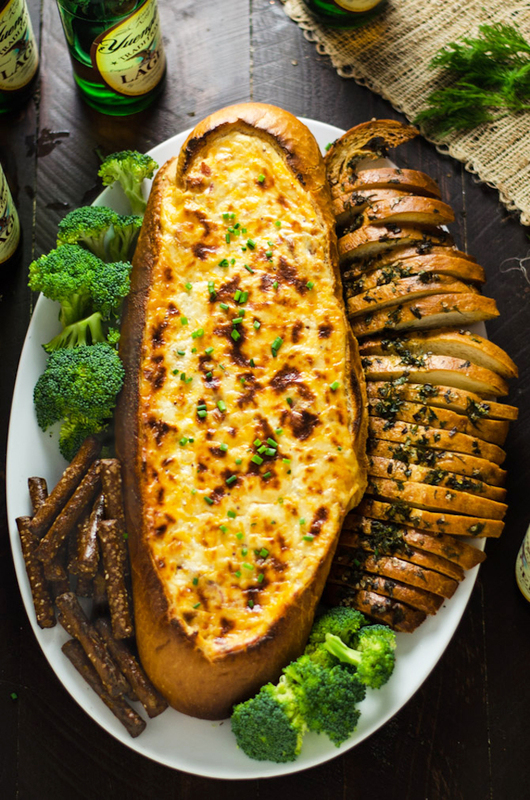 The best part is you don’t need to make the bread bowls yourself. You can just hollow out al store-bought loaf or roll. If you’re looking to add more tasty carbs to your life this season, there are plenty of easy recipes you can serve in a bread bowl. Some are best for parties, while others make great homemade dinners. 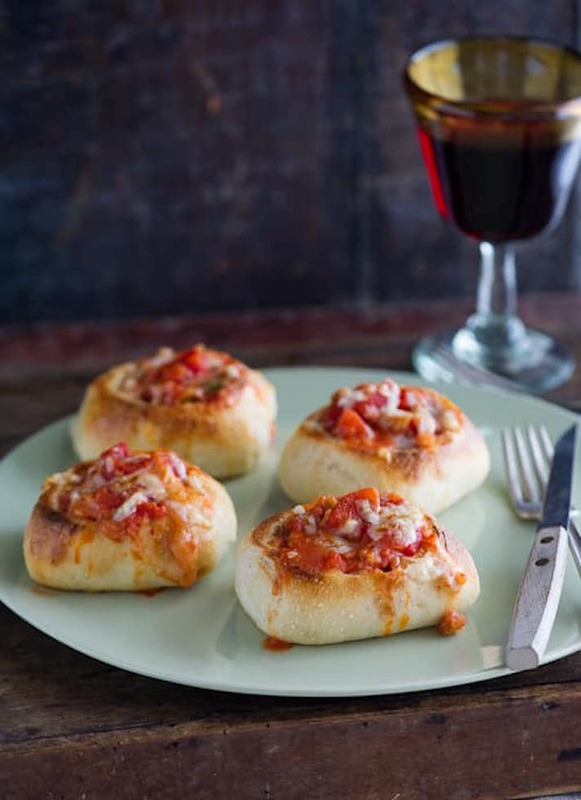 No matter what the occasion, you’re bound to find what you’re looking for in the 12 easy bread bowl recipes below. 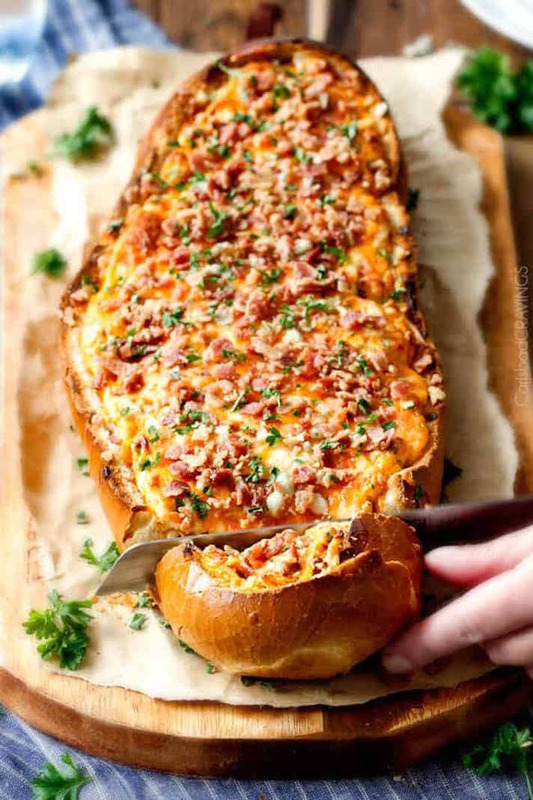 Cheese, meat, bread and tomato sauce — this lasagna bread bowl dip has everything you need in life. Vegan doesn’t have to mean virtuous. 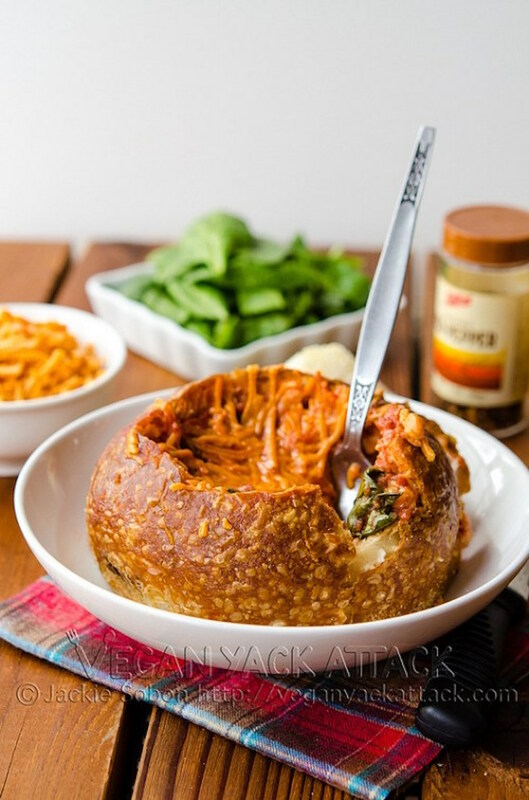 Vegan cheddar makes this tomato-spinach grilled cheese bread bowl totally dairy-free. Everyone knows the only thing to get at Panera is soup in a bread bowl. Now, you don’t even need to leave the house thanks to this copycat broccoli-cheddar soup. Personal pizzas? Nah, I’d rather have a mini garlic and mozzarella bread bowl. Bread bowl for breakfast? 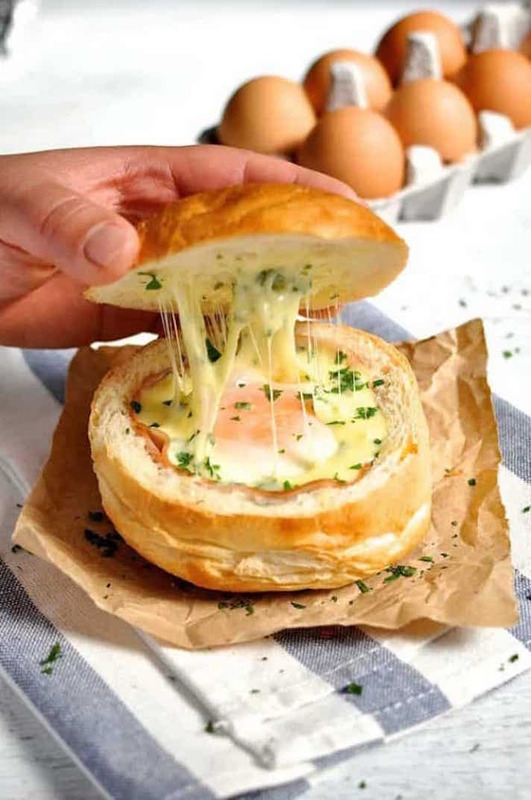 Yes, you can with these ham, egg and cheese breakfast bread bowls. What’s more perfect for a football party than a bread bowl filled with bacon-beer cheese? 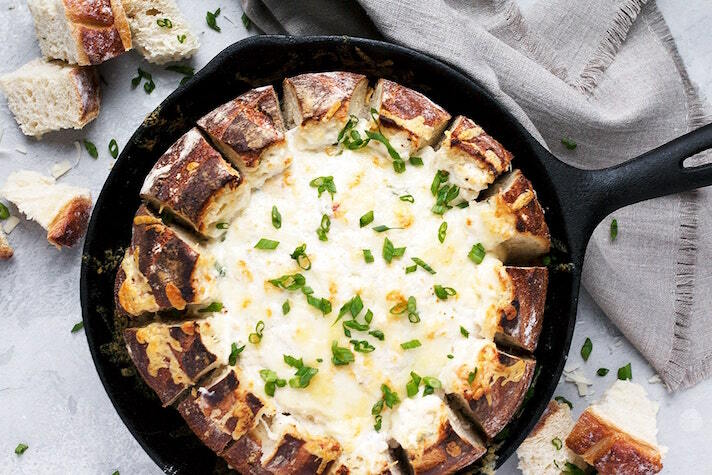 Even people iffy on seafood will go nuts for this skillet crab dip bread bowl. 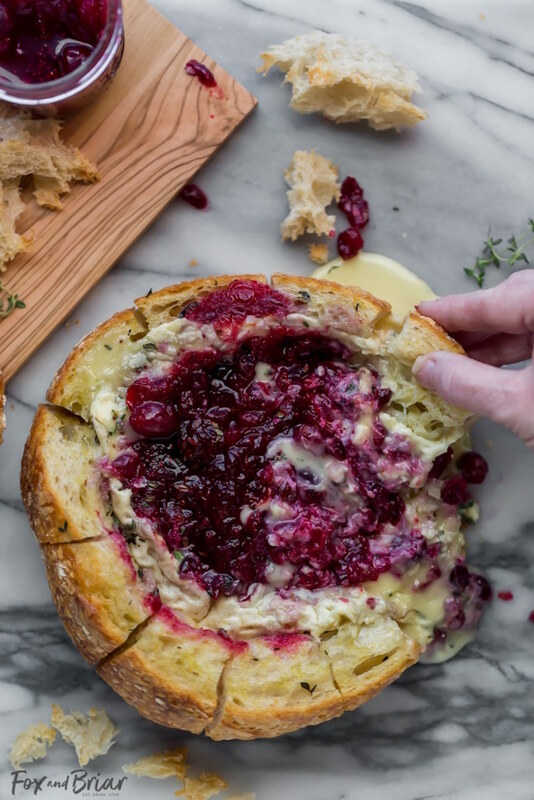 If you’re looking for something sweet and savory, go for this baked cranberry-Brie bread bowl. 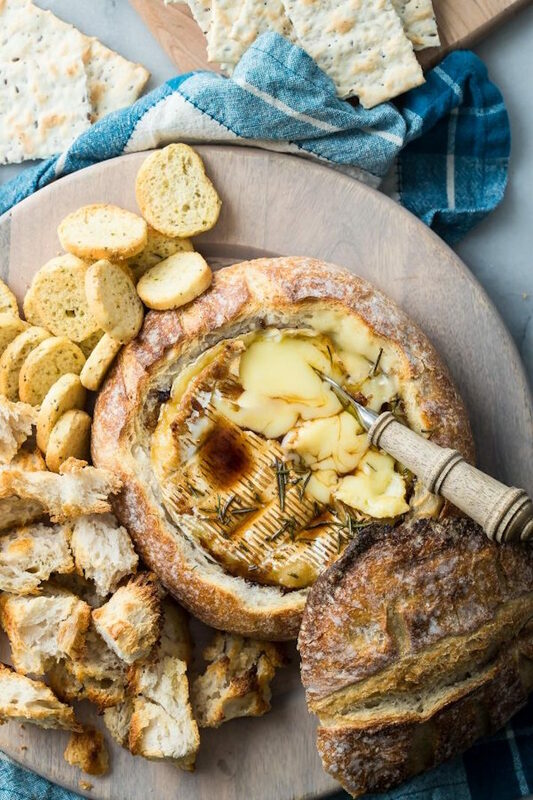 It couldn’t be easier to make this Brie-filled bread bowl. Scoop out a sourdough loaf, add a wheel of cheese, and bake it all up. Dessert bread bowl? Sure! 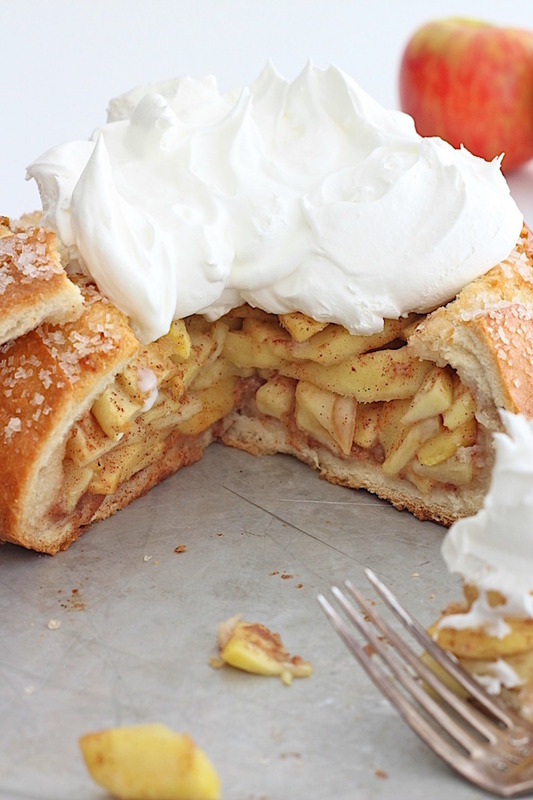 Bake your apple pie in a sugarcoated boule next time. What’s better than spinach-artichoke dip? 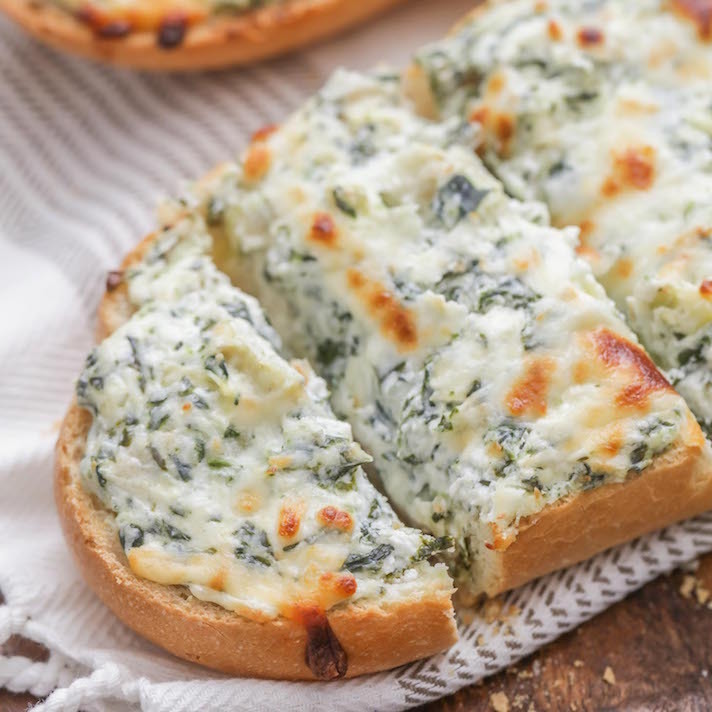 Spinach-artichoke bread. 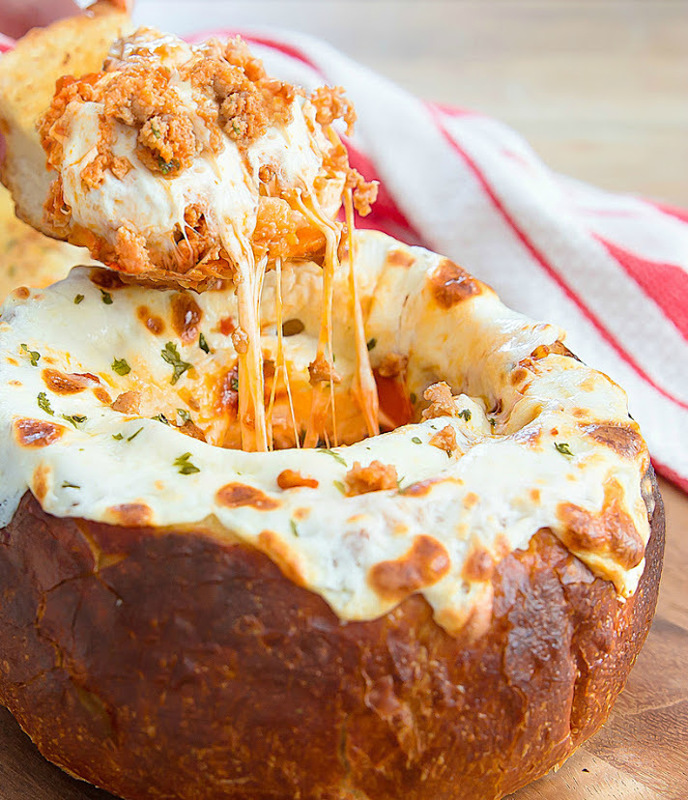 Buffalo chicken dip is one of our favorite party dishes, so this Buffalo chicken bread bowl is definitely on our to-make list.